Secret Garden is a ground floor annexe of the owner's converted chapel just two miles from the picturesque Trevaunance Cove and the village of St Agnes and less than ten minutes by car to the golden sands at Perranporth. Set on the fringe of the peaceful village of Mithian, Secret Garden has a southerly outlook, country views, generous and contemporary accommodation and a sunny garden making it a perfect spot for a restful stay. From the fabulous balcony, making the most of the views, enter the property through french doors where a spacious and comfortable living room greets guests, there is a sofa bed that can accommodate an additional guest, if required. A light and airy apartment which is completed with a double bedroom, modern kitchen and bathroom. Meals can be enjoyed on the patio by the garden entrance, or on the balcony making the most of the countryside views and the varied wild birds who visit. This ground floor apartment, positioned on the edge of Mithian, a small ancient Cornish Village, is just under two miles from St Agnes, where there are over 70 footpaths and bridleways as well as direct access to the coastal path, a haven for walkers. 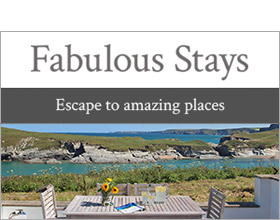 Centrally located with easy access along the North coast from Padstow to St Ives as well as other attractions such as The Eden Project, The Lost Gardens of Heligan and Trerice Manor, to name but a few. After a day exploring why not enjoy a meal at the 16th century Miners Arms, which also houses the village shop , just three minutes walk from Secret Garden. All ground floor. One bedroom: King size double. Cot bed on request, suitable for child up to 4 years. Bathroom with shower over bath, bidet, basin and WC. Kitchen. Sitting room and dining area (with sofa bed available on request). Shop attached to village pub just a 3 minute walkaway.